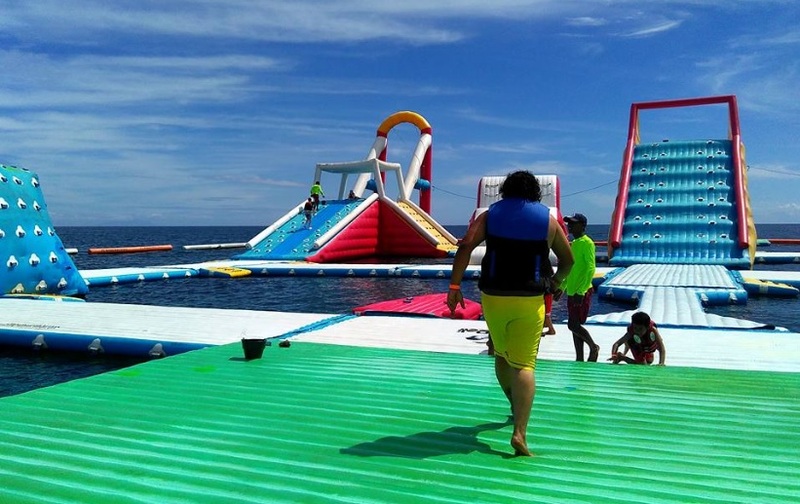 Lovina tourism area now has a new kind of playground in the form of water sport and I am very surprised to see the fast development in my hometown North of Bali since I left far away from my hometown. 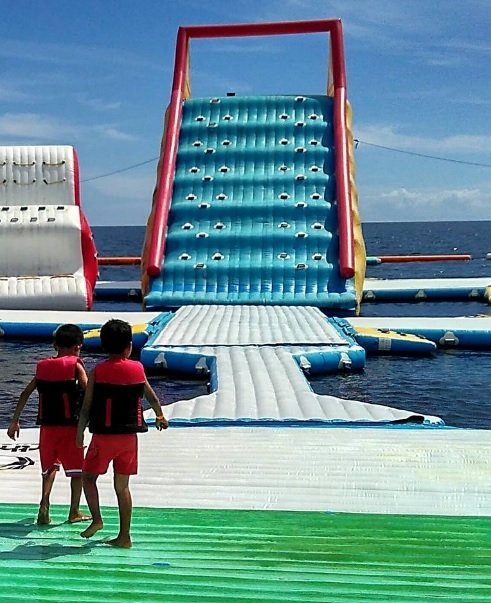 This water sport located in Bali Bagus Beach, Kalibukbuk Village, Buleleng by the name of "North Bali Adventure". 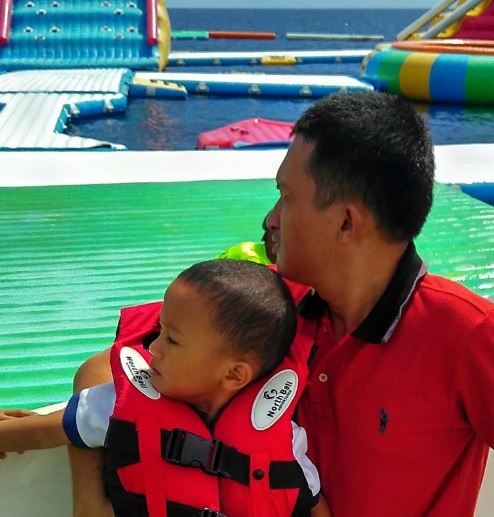 Initially I was looking for an alternative interesting and impressive activity when families gathering who separated with me and hometown for so long. 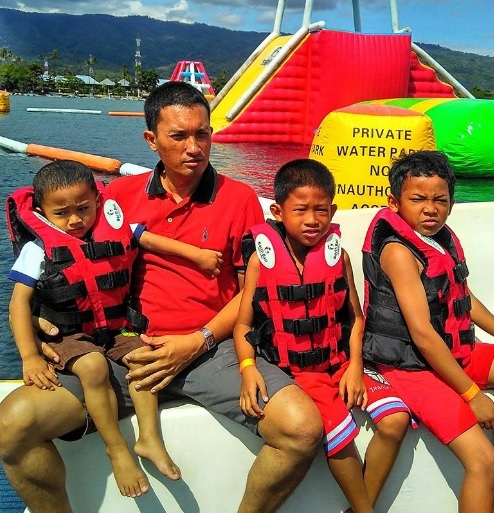 There is one answer definitely is Lovina Beach where has been famous long ago as a tourist attraction in North Bali. 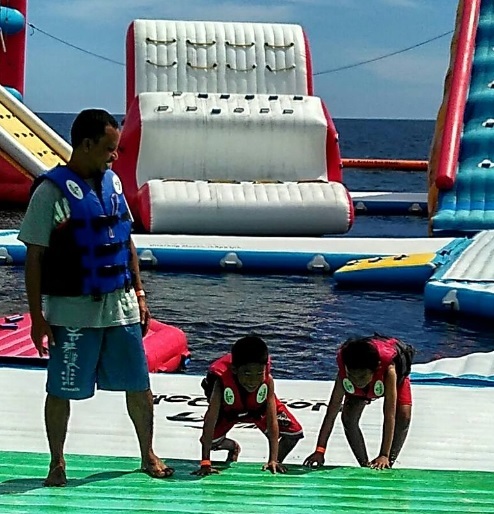 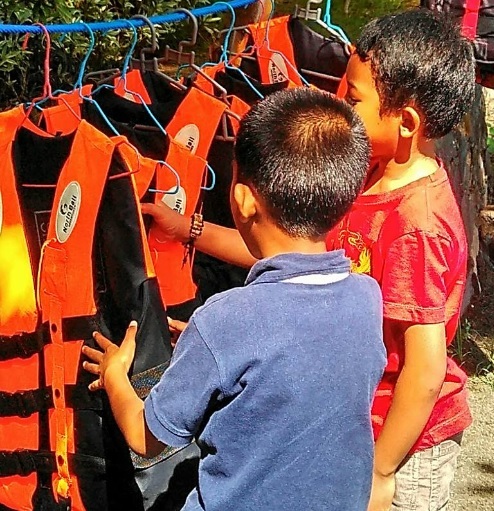 North Bali Adventure offers nine water sport activity such as bouncers, the swing, iceberg, trampoline, torture, jungle joe, the slide twister, and rock slides. 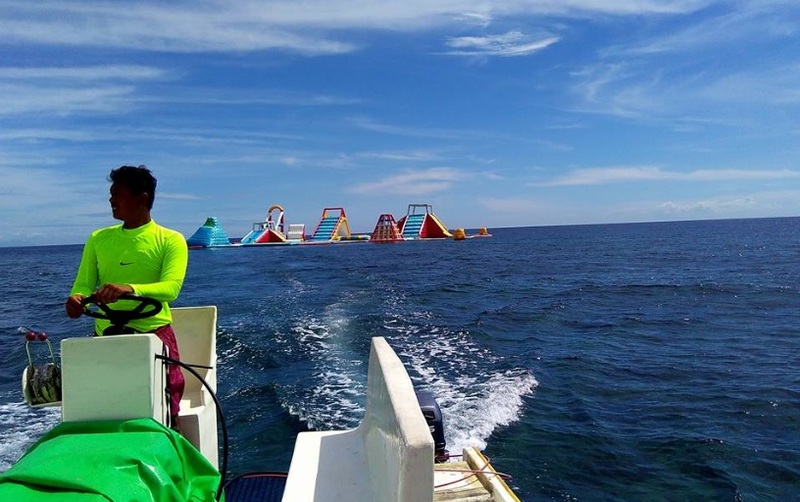 This is one type of amusement park but rush on adrenaline and carried out in the loose seas. 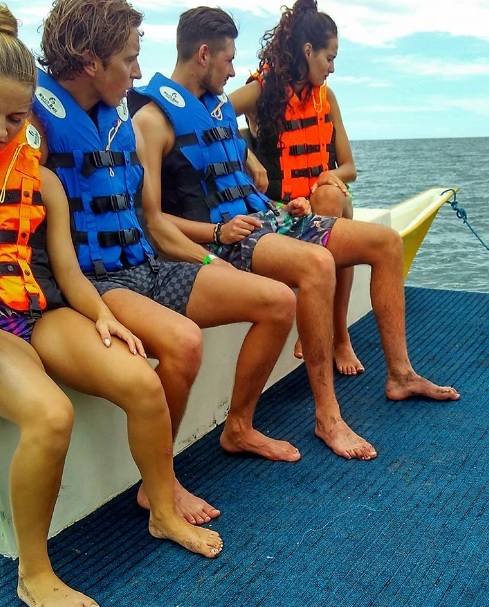 What in my mind was condition of the ocean which is dangerous and not suitable for vacation choice especially for my children and family. 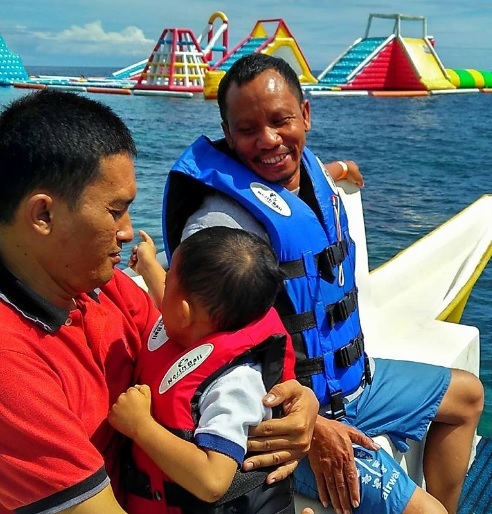 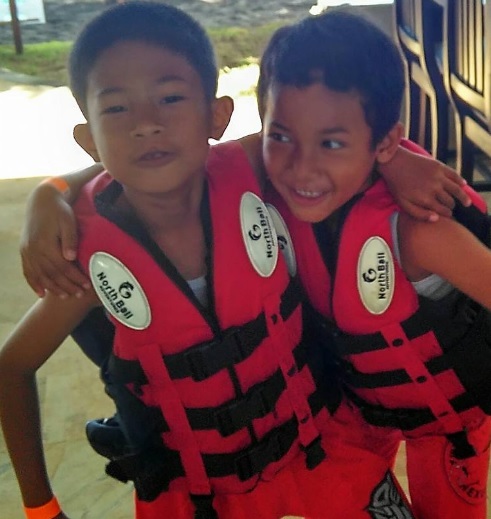 But the worry then lost after hearing their detail explanations and availability of a reliable life guard and Lovina's calm ocean conditions all the time. 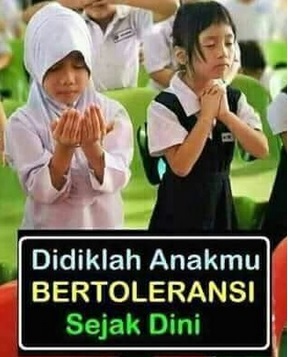 Para pengunjung terlebih dahulu menaiki perahu motor setelah bersiap diri menggunakan life fast dan di Singaraja perahu motor ini disebut dengan "jukung" untuk menuju wahana tersebut. 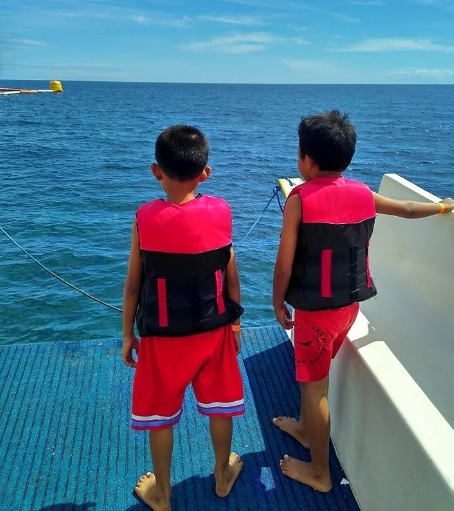 Kawasan perairan yang dimanfaatkan berada di zona aman dari arus dan gelombang serta tampak beberapa wisatawan asing sedang bermain kano dan snorkling dikarenakan banyaknya terumbu karang dan ikan hias indah juga terdapat di sepanjang pantai Lovina di Singaraja. 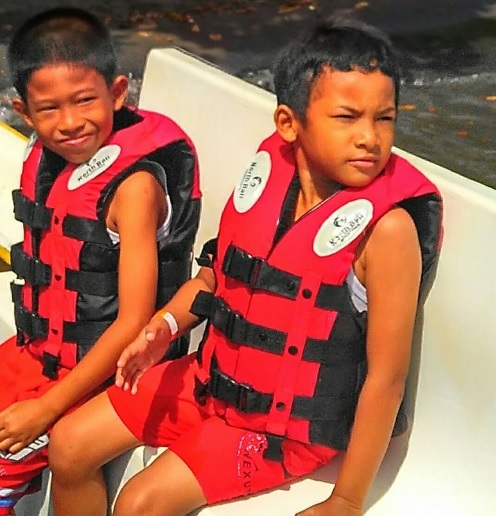 The visitors first boarded on a motorboat after getting ready to use life fast and in Singaraja this motor boat called "jukung" to get to the zone. 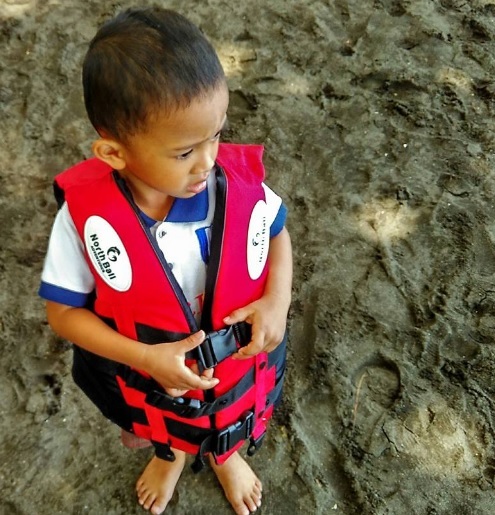 Watersheds are in safe zones of currents and waves and some foreign tourists were canoeing and snorkeling because of many beautiful coral reefs and ornamental fishes also available along the Lovina beaches in Singaraja.